Chocolate + Strawberries= Heaven! 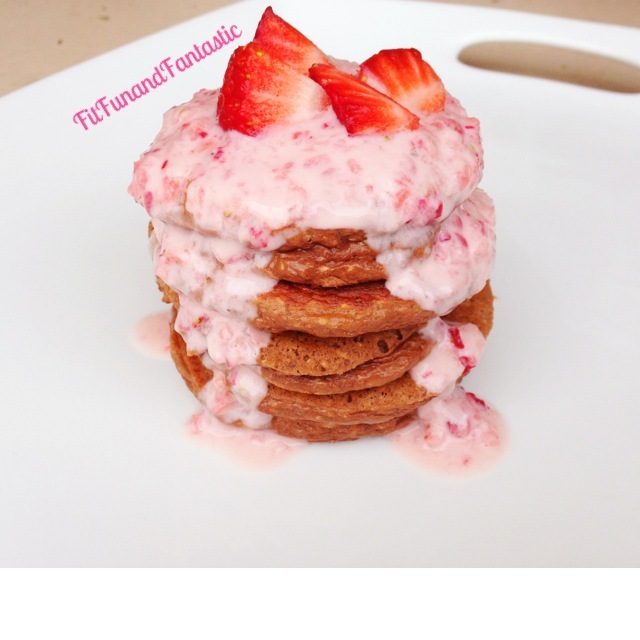 So, I of course had to make pancakes with that flavor combo! 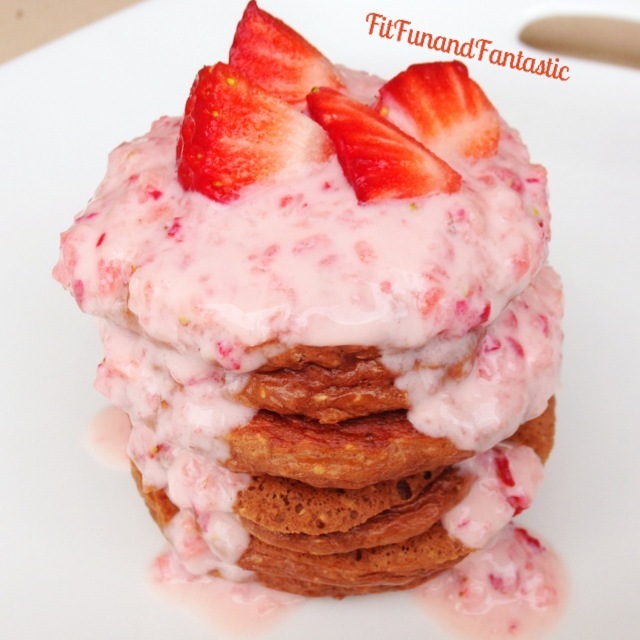 And oh man are these delish! Even my mom who is super picky approved! Then add in all the other ingredients and blend until smooth. Spoon ⅛ cup of batter per pancake on the heated skillet. These would be great with any berry! 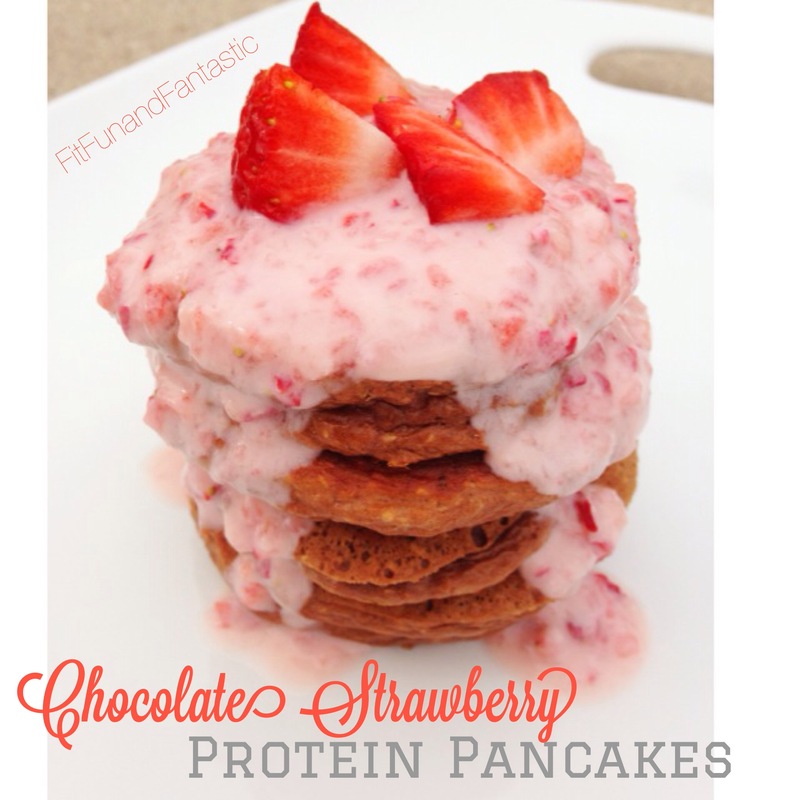 2 Responses to "Chocolate Strawberry Protein Pancakes"
Thanks! They were soo good!